A former landfill in Utica will soon be the site of a new sports facility for children. According to a Facebook post from the City of Utica, officials received a $450,000 redevelopment grant from the Michigan Department of Environmental Quality "to clean up the land where this building existed for many years." 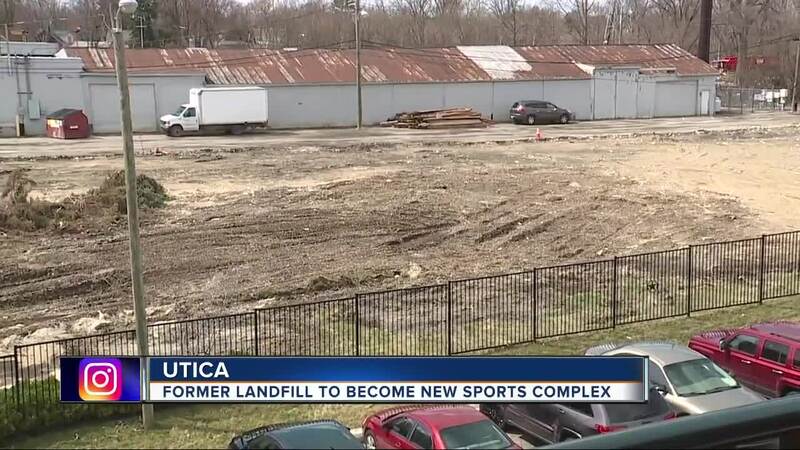 UTICA, Mich. (WXYZ — A former landfill in Utica will soon be the site of a new sports facility for children. According to a Facebook post from the City of Utica, officials received a $450,000 redevelopment grant from the Michigan Department of Environmental Quality "to clean up the land where this building existed for many years." Utica Mayor Thom Dionne says, "They're gonna have a professional sized baseball field, strength and conditioning training and cheerleading and soccer clinics as well for school aged kids." He says local developers bought the property in October and discovered the land needed to be cleaned. Thanks to the grant from the MDEQ, that cleanup will be done. That will will make way for that new sports training facility. "This proposed idea is going to be a really good win for all the residents in the area," says Mayor Dionne. The land will be transformed into a sports training facility for school-aged children, the city wrote. No word yet on when reconstruction will begin.